As well as being the owner of Seaplane Scenics James Young is an FAA Certified Flight Instructor. As a CFI, James has enjoyed introducing many people to the art and science of flying using his knowledge base and expertise achieved by over 30 years of flying. James is a member of several Aeronautics groups such as Seaplane Pilots Association, Alaska Airman’s Association, Airplane Owners and Pilots Associations (AOPA) as well as several affiliated groups. 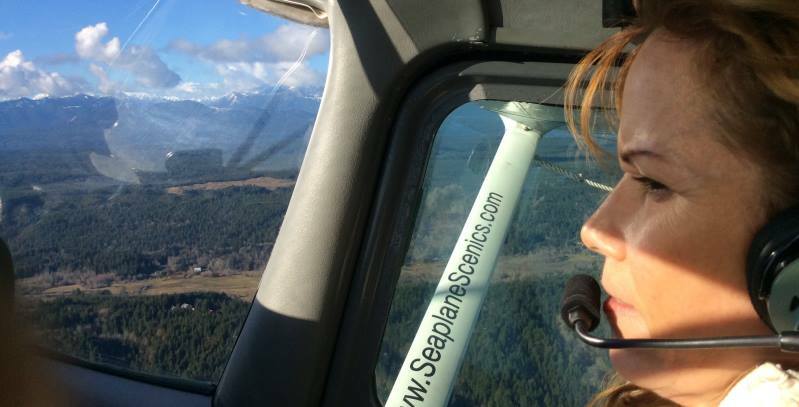 Seaplane Scenics offers a one hour introductory instructional flight in a land plane or a seaplane. Both exciting opportunities includes 15 minutes of ground preparation and 60 minutes of flight time. Whether it be on your bucket list or the beginning of a new and captivating addition to your life this is an awe-inspiring opportunity. The cost of this stimulating experience is $170.00 for the land plane and $270.00 for the seaplane. We also offer an exhilarating hour of training in a high performance seaplane. With this selection you will be flying for 60 minutes in a Cessna 185 with 300 HP. The cost of this service is $595.00 and will be the memory of a lifetime. For those already familiar with the friendly skies but wish to add on a Seaplane rating to their current pilot’s license, Seaplane Scenics offers training for additional rating of ASES (Airplane Single Engine Sea). You will receive 4 hours of ground training and 8 hours of flight training. Each student will have different training time requirements based on individual proficiency. The base cost for an add on rating is $2400.00 or prepay for a block rate. ASES Block Rate: Examiner fee and check ride flight time not included in block rate. 6 hour package: 4 hours of ground instruction and 6 hours of flight instruction in a C-172L for $1740.00 with additional flight hours at $270.00 per hour and ground at $60 per hour. 8 hour package: 4 hours of ground instruction and 8 hours of flight instruction in a C-172L for $2240.00 with additional flight hours at $270.00 per hour and ground at $60 per hour. Examiner's fee varies from $400 to $550. The aircraft is $210 per hour for the check ride. CFI accompanied flights - add another measure of safety by completing a new flight route or getting acquainted with a new aircraft. The cost of this service is $60.00 per hour for instructor services only. Biennial reviews for current pilots & recurrent training. Airspace training for both class B and C around Seattle and Western Washington. Canadian boarding crossings, Canadian flight rules and customs (EAPIS). Advanced Seaplane training with high performance Seaplane operations including confined space, high altitude, river and mountain flying operations. Instructor Services in your aircraft and ferrying aircraft. Please contact Seaplane Scenics for specifics on the above programs, pricing and availability. Special Note: All flights are subject to weather conditions.